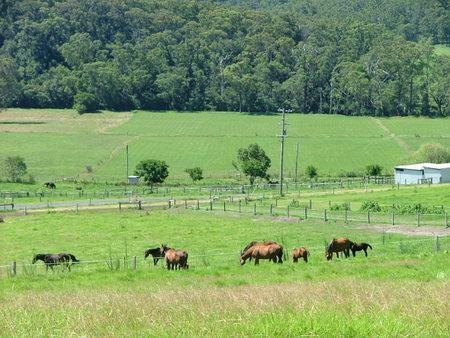 Hussar's Lodge Racing Stables are situated at Kembla Grange which is located on the outskirts of Wollongong on the South Coast of New South Wales. 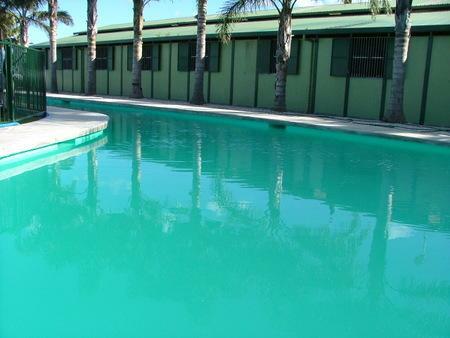 Established in 1994, Hussar's Lodge has grown into two large stable complexes, complete with a walking machine and an equine swimming pool. 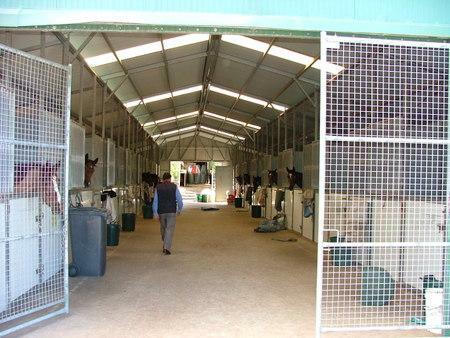 The walking machine is a nine horse walker ensuring the horses get adequate exercise in-between track work. 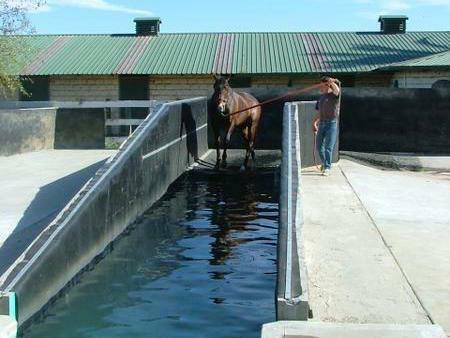 The equine swimming pool is of great assistance to the horses and provides excellent exercise and terrific health benefits. 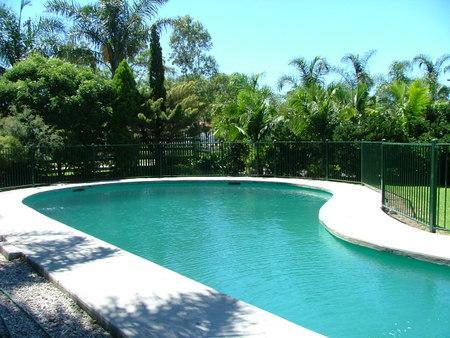 The pool itself is 88 lineal metres, 3 metres deep and varies between 1-3 metres in width. The circle is 8 metres round. 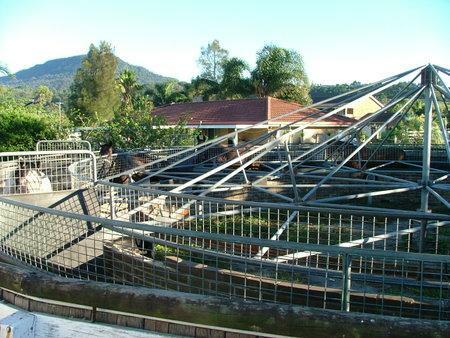 It holds 430,000 litres of water. 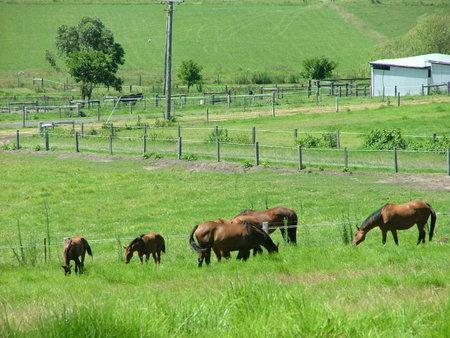 Equine swimming is popular throughout the racing industry for the rehabilitation and fitness of race horses, as swimming is a strenuous exercise and is great resistance training for sound and problem horses. 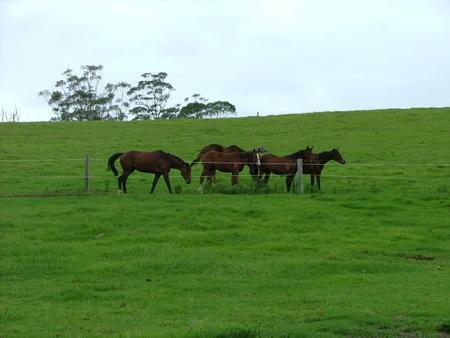 The stables can accommodate up to 50 horses in the comfortable, relaxed, semi-country atmosphere of Kembla Grange. 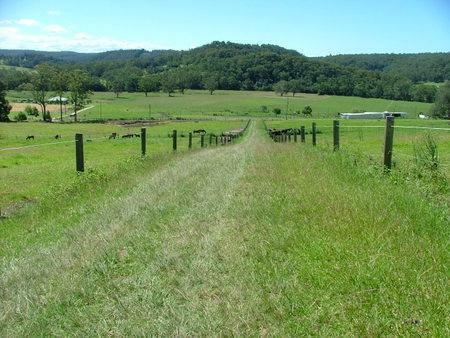 The "Rissmore" 270 acre property is situated 2.5 hours drive from Sydney. 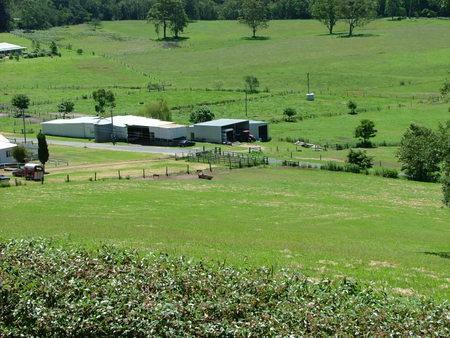 The property has been in the Murray family since the 1800’s and was first home to a dairy farm. 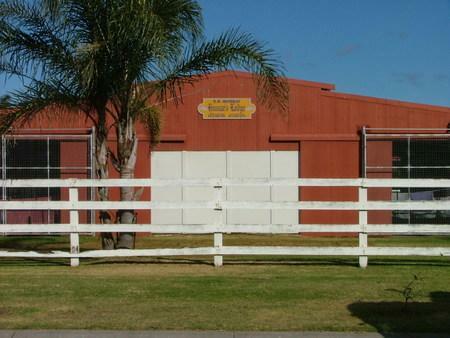 Bede transformed it into a racing complex in 1962. "Rissmore" has a natural ambiance as a spelling property. 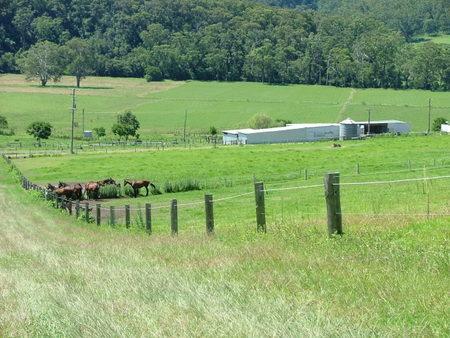 The lush pastures and rural setting provide a relaxed country feeling for the horses while out spelling.